As a five year old kid, there was nothing cooler than going to the Paul Bunyanland Amusement Park in Brainerd, MN. I would wake up early, slam down a huge bowl of Chocolate Covered Sugar Bombs, and then scream, yell and squirm in the car the entire way there. By the time I was eight I still loved the park but I had seen Babe the Blue Ox a hundred times. I no longer became disoriented in Mine No. 1 and I didn’t really believe that it was Paul himself speaking to me when the voice came out of the giant statue. It was time for a change. Soon Valley Fair and the Renaissance Festival were added to my repertoire and my passion for the big day out stayed fresh. Wine needs to be thought of the same way. Cabernet, Merlot, Pinot Noir, and Syrah – what I call the Big Four reds, offer a great ride but sometimes it’s refreshing to hit the midway with a new varietal. Leaving the Big Four to taste wine made from different grapes may not be for everyone. After all, not everybody likes sporting a renaissance era outfit to a massive public event. But by that same logic, you never would have discovered those golden nuggets of calories we call cheese curds if you’d just kept eating the same old corn dogs. Below are two recommendations that will make you a believer in trying new wines. 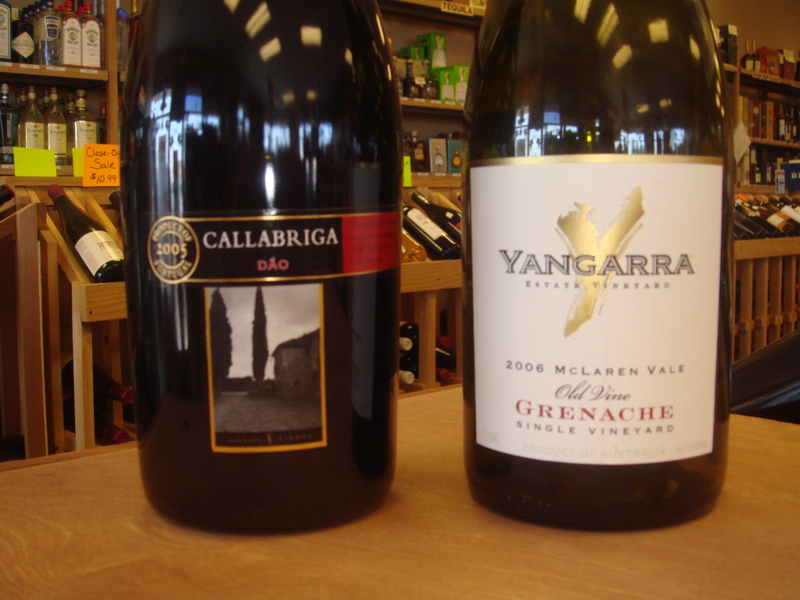 Yangarra 2006, Old Vine Grenache ($16.99): Tasting this wine directly after trying a Cabernet is like seeing “Kung Fu Panda” right after watching “A Clockwork Orange”. It is so different and yet there is still so much about it to appreciate. The medium body carries a complex stew of dark fruit and its deliciousness factor is off the charts. Callabriga 2005, Tempranillo ($15.99): This wine is made from the grapes Tinta Roriz, Touriga Nacional, and Alfrocheiro Preto. How’s that for stepping away from the Big Four? Wine Spectator also ranked it 57 on their top 100 wine list in 2008. The nose on this wine draws you in like the toothless carnie outside the Ring Toss. The difference is you don’t feel cheated after trying it. Cinnamon and spice are tucked nicely into a medium body. I originally bought this wine as a sideshow for weeknights but now I find it taking center stage for big weekend events. As much as I would like to, I just can’t bust open a $40 bottle of wine every night. Unfortunately, buying some of the wines out of California today would require me to take out another student loan. Some of the wines from France would require a second mortgage. For that reason, I need a backup. I need something to drink when it’s not a special occasion. I need something to open for my neighbor who pours 7-Up in his wine because it “gives it more fizz”. Something that is good, yet affordable. I call wines for these occasions my “Weeknight Wines” and they are the equivalent of a good backup quarterback. They are good enough to rely on, yet don’t command the outrageous salaries of the franchise players. After years of using Darwin’s natural selection, the weaker low cost wines in my rack are now extinct in favor of better performing price-conscious specimens. They display all the complexity, structure, balance, and taste that the more expensive wines possess but also cost less than $14.00. So for those of us who aren’t parking a boat somewhere in the South of France, here is a short list of some of my favorite Weeknight Wines. Big House White 2008 ($8.99): This rated number one on Wine Enthusiast’s best buy wines of 2009 and is a blend of four lesser known varietals. On the nose there are peaches and mandarin oranges. It has flavors of citrus fruit, lemon grass, and a mineral element that keeps the light sweetness in check. If you’re missing summer right now, pick up a bottle. Chateau St. Michelle 2008, Columbia Valley Riesling ($9.99): This wine shows a sweetness that continues throughout the finish. It displays flavors of apricots and pears with a drizzle of honey mixed in. If you like sweeter wines this one is done well. Pascual Toso 2007, Malbec ($12.99): This Malbec is slightly fruitier than many and displays so many flavor profiles it’s hard to list them all. Coffee, cherries, violets, and blackberries are just a few. The tannins, typically big in Malbecs, are nicely integrated. Montecillo 2005, Crianza ($12.99): With a light to medium body, this Spanish Crianza is European in style. Hints of smoke, hints of apples, and hints of copper are all tucked nicely into a very solid effort. Everything about this wine is subtle and tasteful. You are currently browsing the archives for the Tempranillo category.